The first flydubai airplane will take off from Zagreb Airport to Dubai and then to the lively Thai capital Bangkok on Tuesday, November 29. flydubai will fly from Zagreb to Bangkok every Tuesday, Thursday and Sunday and if you are travelling from Ljubljana or Maribor, your GoOpti return transfer to Zagreb Airport is already included in the airplane ticket. The return ticket from Zagreb to Bangkok will cost you from 440 EUR on. Besides the GoOpti transfer all the airport commissions, 20 kg check baggage, 7 kg hand luggage and a meal on the return flight from Zagreb to Dubai are included in the plane ticket. To ensure GoOpti transfer is included in the ticket passengers should inform their travel agent they wish to begin their journey from Ljubljana or Maribor. If you are buying the ticket on your own on flydubai website, do make sure you type Ljubljana or Maribor as your starting point and the airline company's system will automatically add GoOpti transfer to your airplane ticket. 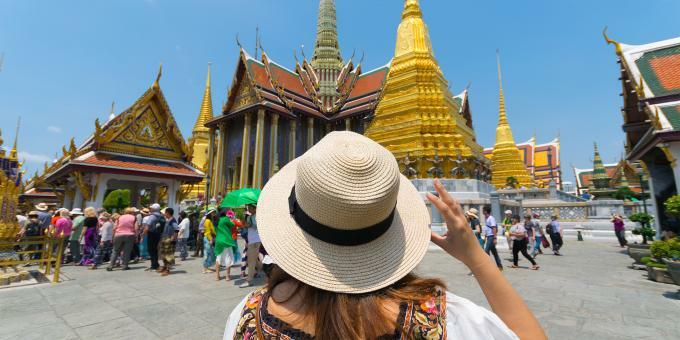 And while you are in Bangkock check out one of the largest markets in the world, Chatuchak Weekend market, the Wat Phra Kaew temple and the Wat Traimit temple with the famous 3m-tall, 5.5-tonne, solid-gold Buddha image.